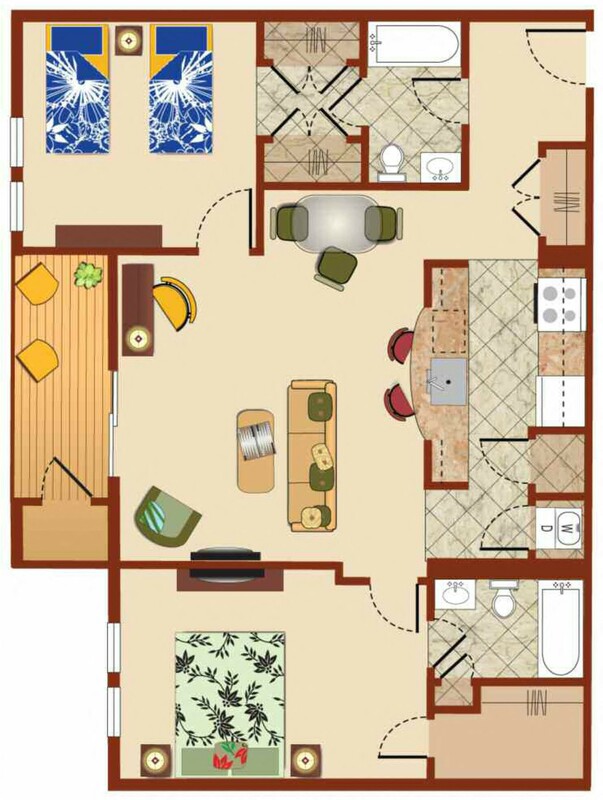 View floor plans of our South Philadelphia apartments. The Enclaves at Packer Park offers the best in space and amenities whether you’re looking for a one or two-bedroom apartment. Each apartment at The Enclaves at Packer Park has energy efficient appliances, granite countertops, rounded breakfast countertops, individual climate control, and a dishwasher. 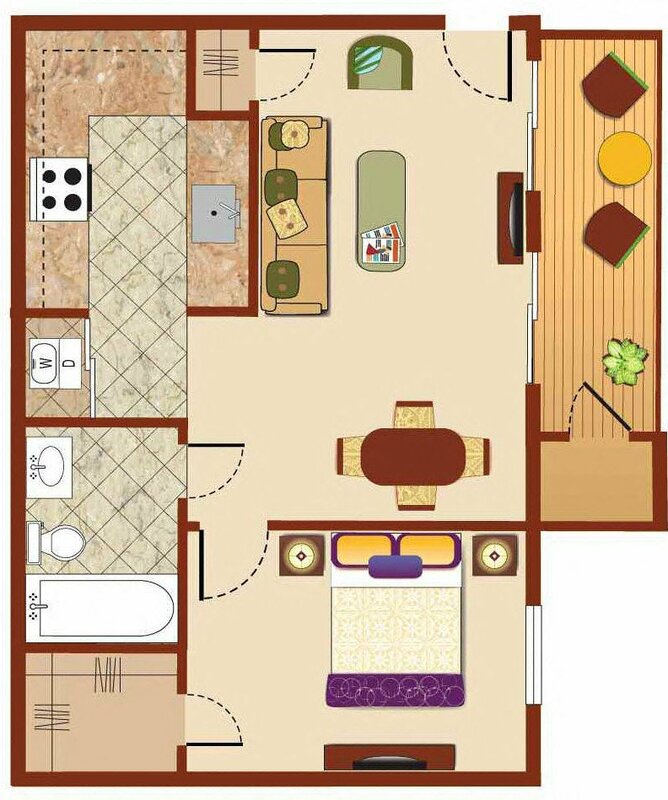 Enjoy a private balcony or terrace, spacious closet space, decorative ceilings, and more. Our community is cat and dog friendly, so bring Fido and Mittens along! 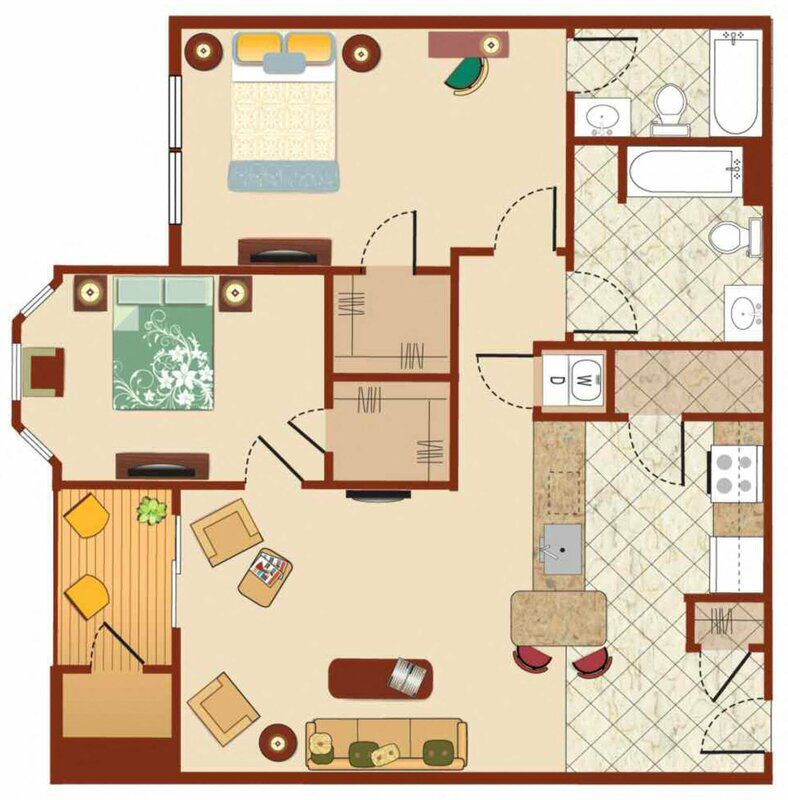 We also offer on-site laundry facilities in each unit, a fitness center and a pool. Call The Enclaves at Packer Park for a tour of our South Philadelphia apartments today!